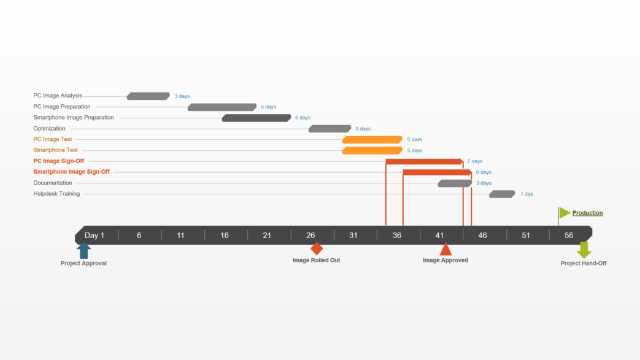 The Gantt template is the most commonly used chart for communicating any project to any audience. Gantts are the most frequently used visual when planning, scheduling or reporting on a project. Gantts are so effective because they visually combine the activities required to achieve an objective with a timescale. They are powerful illustrations because they provide a quick snap shot of what needs to be done and by when. 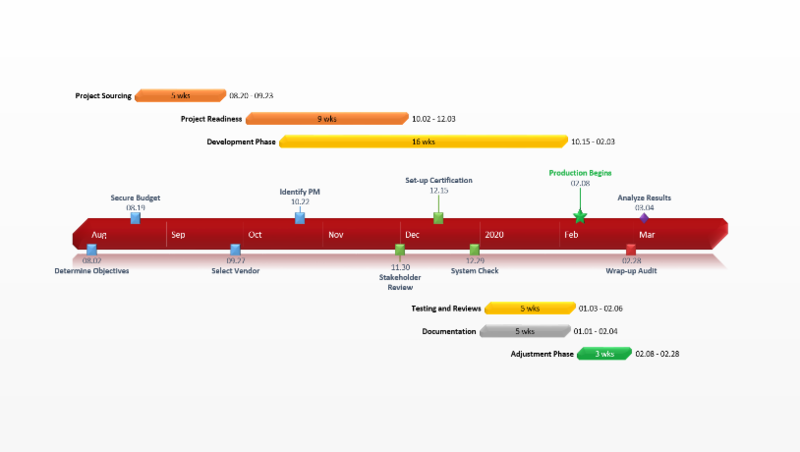 This Gantt template was designed to effectively plan and communicate projects at a high level. It was built to be clear and easy to for clients and executives to understand. Although Gantts were first devised in the mid-1890s they have changed over time. Today’s typical Gantts are created by project management software. They can be extremely complex visuals that include detailed information such as baseline comparisons, slip schedules, earned value and budget cost for work performance calculations. Although this level of detail is valuable for project managers, it is difficult for non-project people to understand. Heavy and complicated Gantts are ineffective visuals for communication to clients, executives and other stakeholders. The Gantt template was created differently. It was made for communication purposes and designed as a high-level summary view of a project or plan. 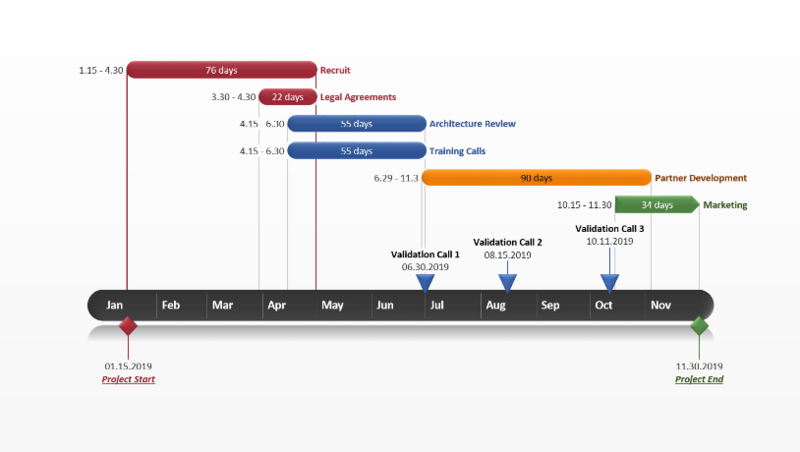 The Gantt template can be used for communicating the plans or progress of a project. 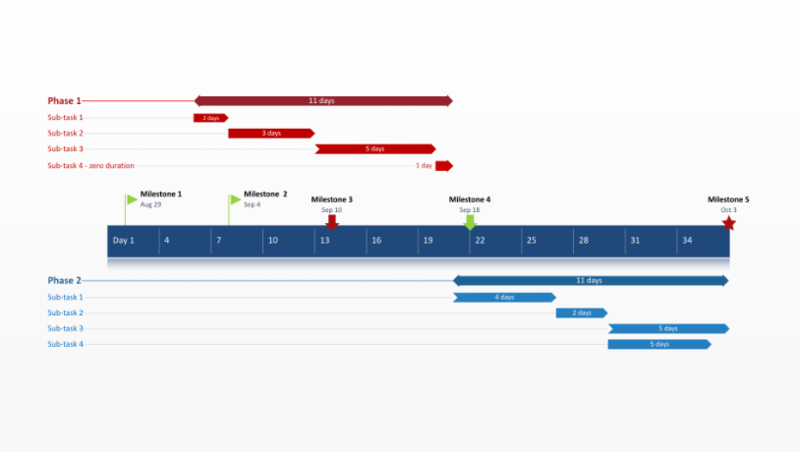 The Gantt template was created with familiar PowerPoint so it is simple to download, edit and share. Teams can collaborate on the Gantt template easily using PowerPoint and stakeholders can easily read, share or include the slide in their presentations. 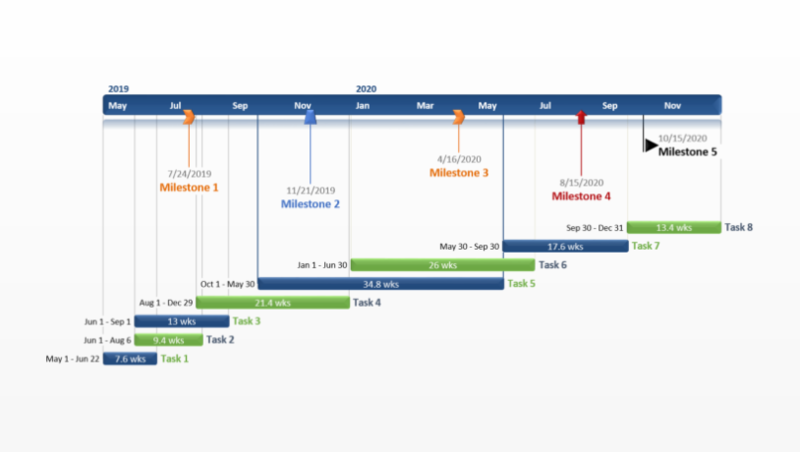 The template was created to work natively with the Office Timeline Gantt tool for PowerPoint. This Gantt tool is a PowerPoint add-in that automatically creates and updates Gantts. Office Timeline Plus also integrates with project management tools like Microsoft Project and others, so you can quickly import your existing data and instantly have it transformed into a beautiful PowerPoint Gantt. This means your Gantt template can instantly be revised as quickly as your stakeholders need updates.